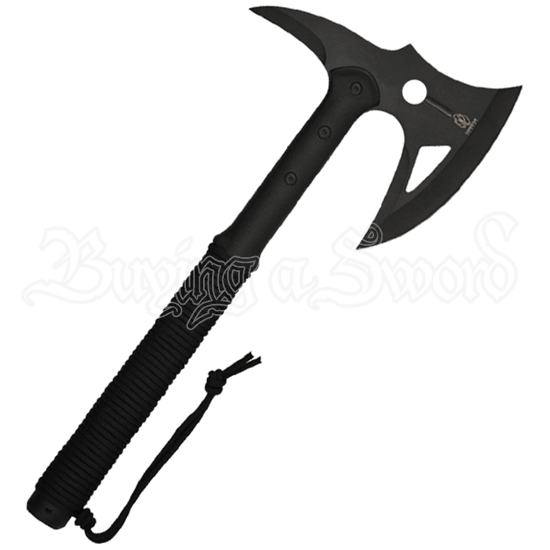 If you prefer a dystopian setting or relish the thought of hacking apart a zombie horde, this Black Paracord Tactical Battle Axe belongs in your arsenal of urban survival gear. This bearded axe comes in handy during an apocalypse. 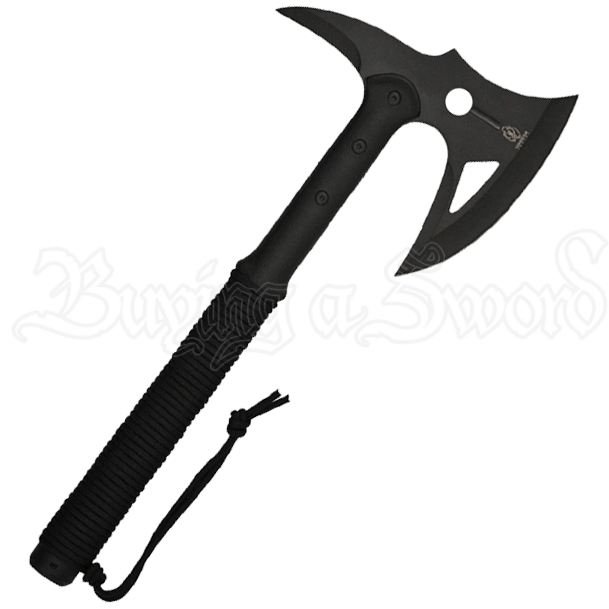 The single bit head follows the basic shape of the classic battle-axe, but with some modern stylization. A triangular cutout lightens the weight of the beard, while a circular steel accent decorates the cheek. The long black plastic handle permits a two-handed hold. A black paracord wrap enhances the bottom grip. A matching nylon sheath is included for safe and convenient storage.